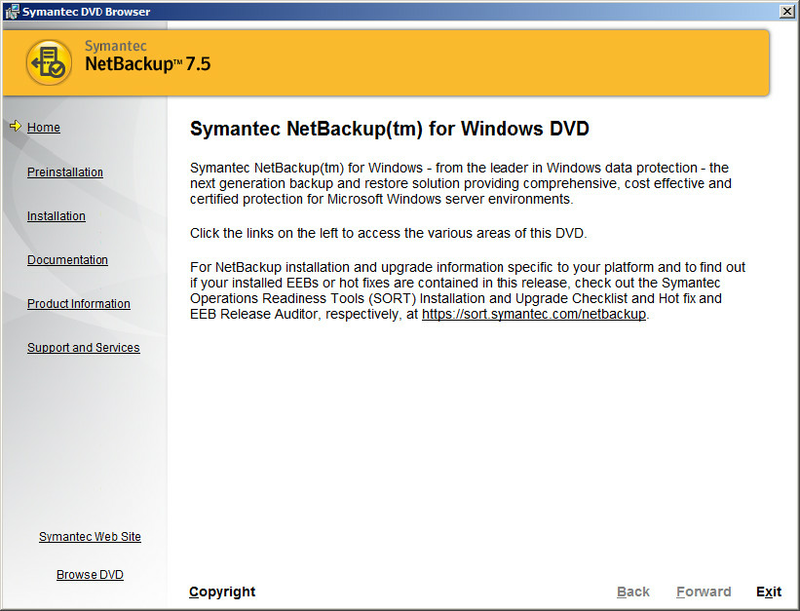 I am not going elaborate what is Symantec Net Backup? or what are the requirements? or what are the advantages over other products? because you already know what it is? why it is better than other etc.. 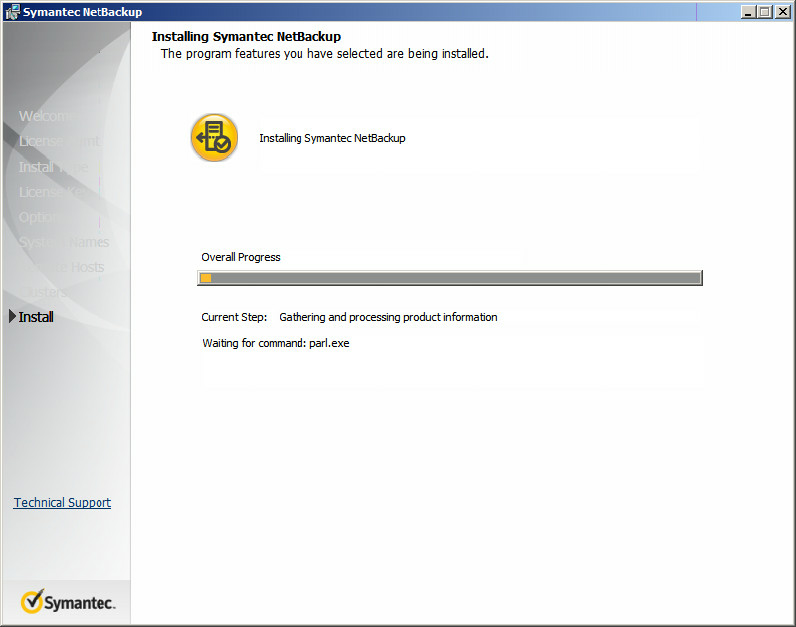 Here is the small tutorial about the installation of Symantec Net Backup 7.5 on Windows 2008 R2. 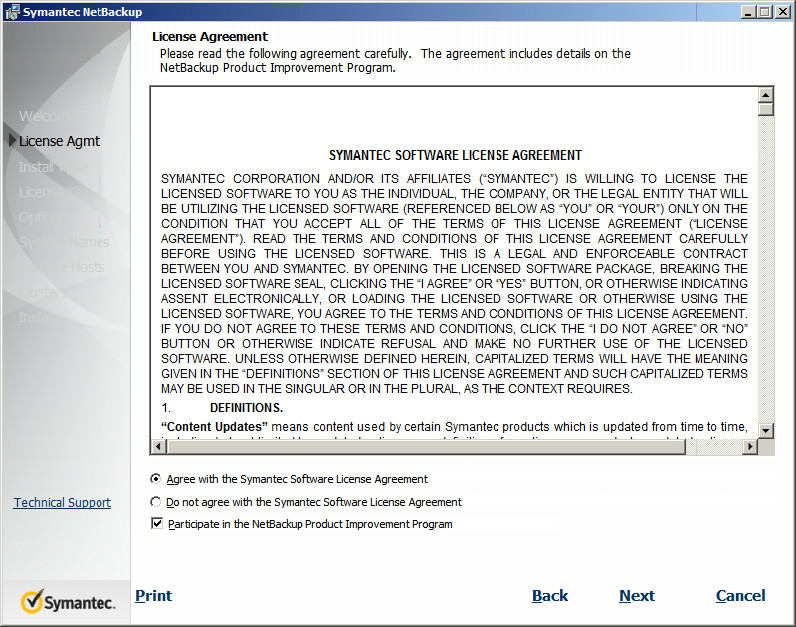 Get your software from Symantec authorized distributor, you could find a windows installer on bundled package, windows installer comes in a zip archive format; comprising of 2 zip archives. The file names are as follows NetBackup_7.5_Win_zip.1of2 and NetBackup_7.5_Win_zip.2of2. Before extracting the archives, combine both into one zip archive file. Issue the following command after went inside the bundled package directory. Now extract zip archive. Run Bowser.exe, that you can find under extracted directory. Installer will start to display home page. 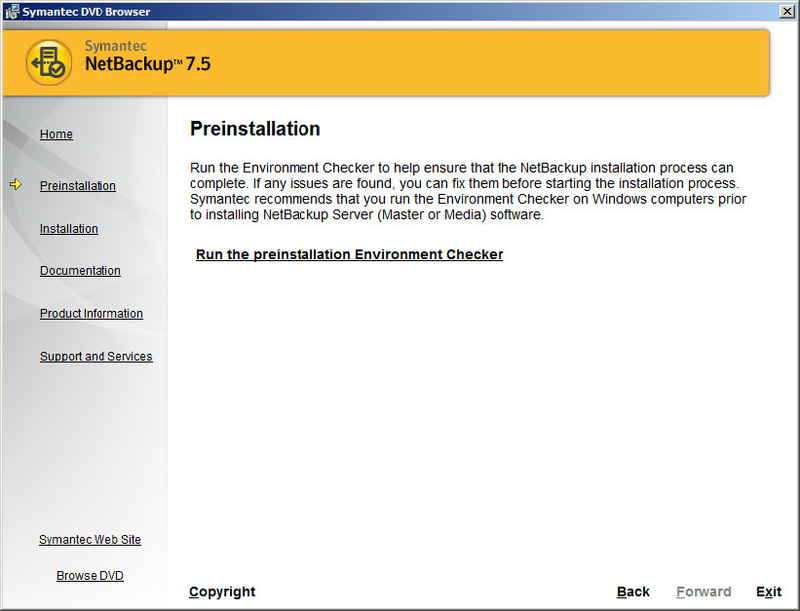 Verify your system that it meet the minimum requirements to install Symantec Netbackup 7.5 by clicking on Preinstallation menu. 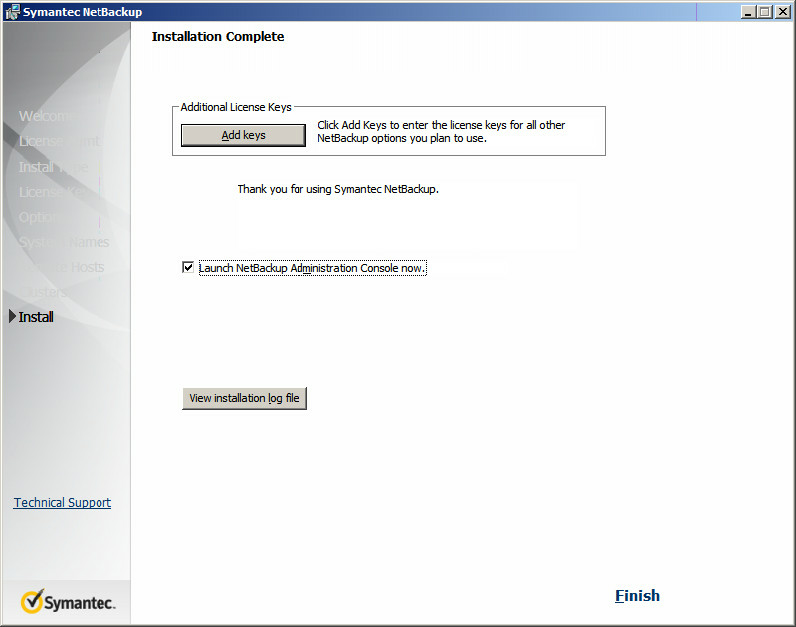 Once verified, click on Installation menu. 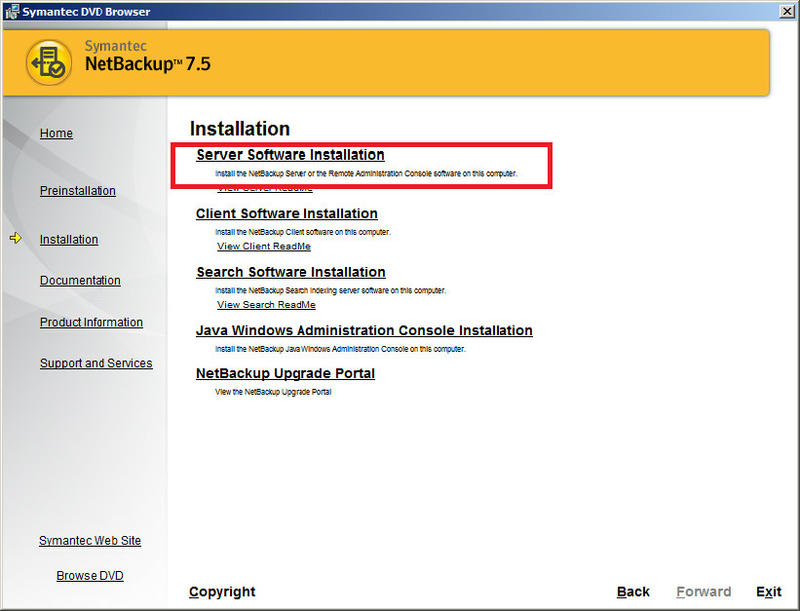 click on Server Software installation to install Symantec Net Backup server. Click on Yes to proceed installation. Click on Next to start configuring the installation requirement such as Master server name, Media servers, Installation credential and License Keys etc.. Select agree and click on Next. 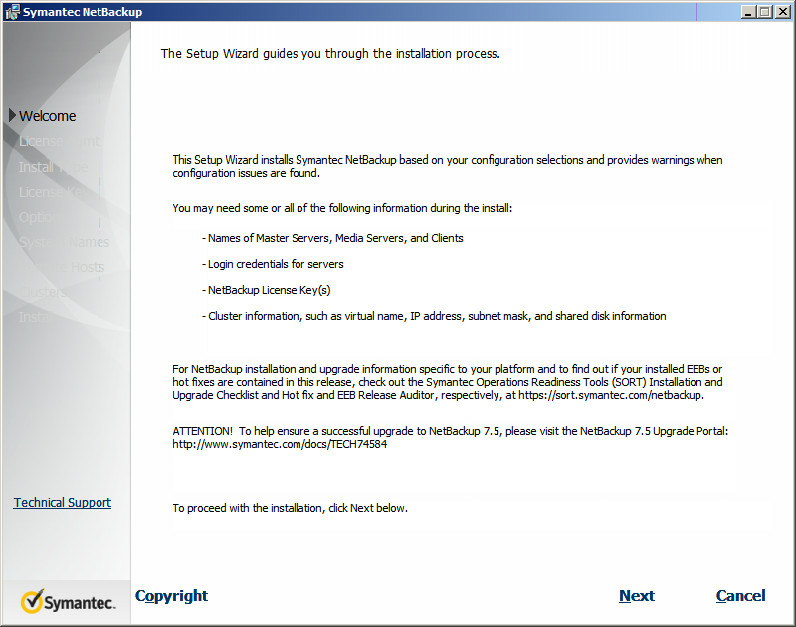 Select the installation type, whether it is a local or network. If you are setting up a master server on this machine, select Install to this computer only. 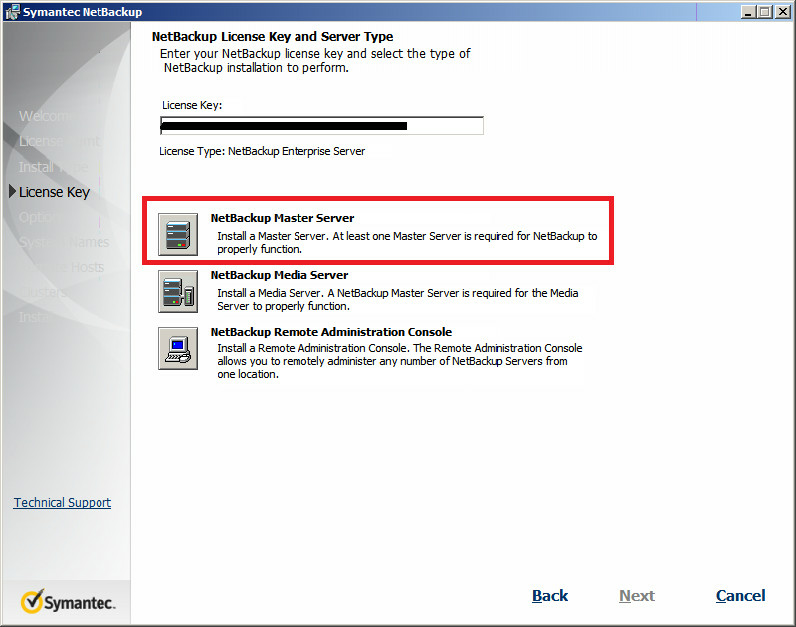 Enter Licence key, Click on NetBackup Master Server to perform NetBackup server installation. Enter the Name of Master Server ie Host name of the server where you are installing NetBackup and also enter the Name of Enterprise Media Manager Server ( Most cases both are same). Then click Next. Additional keys can be added by clicking on Add Keys, click on Finish. 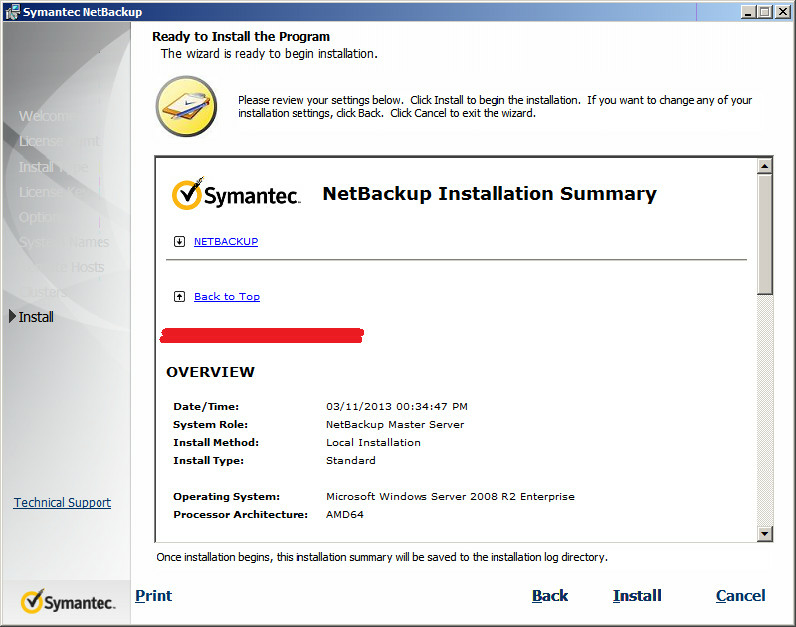 That’s all, you have successfully installed Symantec NetBackup 7.5 on Windows 2008 R2. 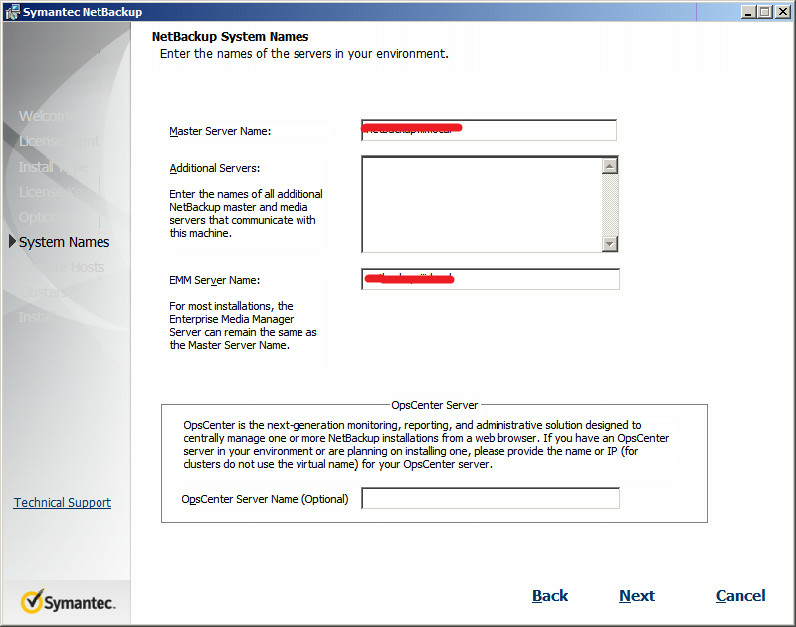 Just one step left to use administration console because you need to configure post installation.